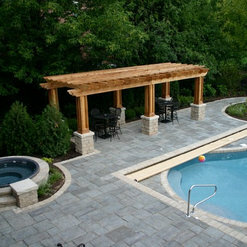 Our mission is to be the finest landscape design, construction and maintenance company with a reputation for the best products, superior craftsmanship, and excellent customer service. Our greatest asset is our company’s continual pursuit to exceed our client’s expectations. 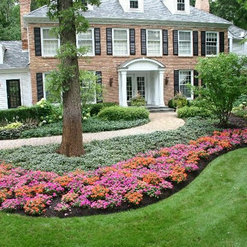 For more than 35 years, we've created and maintained unique landscapes in the Naperville area for people just like you. We've landscaped suburban family homes, Fortune 500 properties, and everything in between. We can design and implement anything you like! Most of our team, both in the office and the crew foremen, has been working together at our company for at least 10 years. We are members of PLANET, Illinois Landscape Contractor Association, American Society of Landscape Architects, and the Illinois Green Industry Association. As a part of these organizations, we stay up-to-date on the latest innovation and legislation in our field. 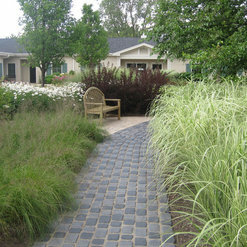 We are able to create sustainable and eco-friendly landscapes that value your needs, as well as the environment's needs. Call us at (630) 848-9473 for a consultation. 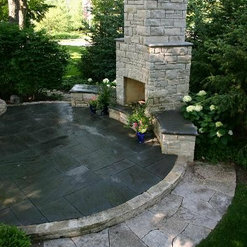 12 Projects for Western DuPage Landscaping, Inc.
18 Reviews for Western DuPage Landscaping, Inc. I have to express my disappointment in Western DuPage Landscaping. I live in a multi-family development, which they do our landscaping. For the winter cleanup they totally neglected a whole section of homes for clean up. I've been trying to get them out here for almost 2 weeks to get this area cleaned up and I have not had any success. Nicole was professional, prompt, and very friendly. She designed landscaping for the front of our house as well as areas in the back. She used existing plants and added new ones to emphasize heights and a beautiful color palette. She really LISTENED to our desired and incorporated them when she could and gave advice on any poor choices she felt we had made. The landscaping crew was also wonderful - they left thing so very neat and tidy and even power washed an existing brick wall to make everything look new!! We definitely would recommend Nicole and her company! 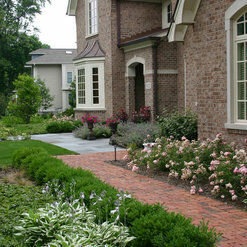 We worked with Nicole Buch to landscape the front and side yards of our home. We had more than one company give plans and estimates, but we chose Western DuPage for a number of reasons. 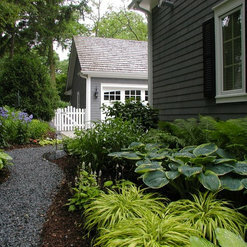 They had previously done a beautiful job of landscaping the front and back of our previous home. Nicole listened to our preferences and followed through with a design that took those preferences into consideration. We had a budget, and she kept to it, without sacrificing style or substance. As previously, the crew that did the installation was on time, courteous, professional, and they cleaned up the site afterwards. We needed a minor tweaking of the side yard entrance, and we added one of their original suggestions to our budget when the job was done. Everything looked beautiful and held up well over the summer and we are looking forward to seeing the landscape mature, and having them return in the future to take care of our back yard as well. Highly recommended! Nicole Buch, the landscape architect and Western Dupage Landscaping (WDL) transformed our backyard deck into a beautiful, inviting and functional patio space. During the initial meeting, Nicole listened patiently to our wish list and preferences while diplomatically sharing her expertise and opinion. Other potential architects seemed less interested in our preferences than in imposing a preconceived design. We chose her plan... We were impressed with the amount of preparation that went into the presentation, creativity of design, ideas regarding materials to complement our home and the plants proposed. Consistently, the entire team remained professional, organized, communicative and responsive throughout the construction process. There are landscape companies and architects aplenty, what sets Western Dupage Landscaping apart is they met and far exceeded our expectations! 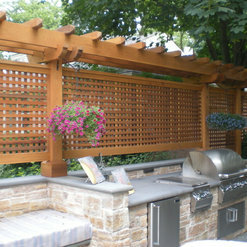 We look forward to enjoying our patio and working on another project with WDL! 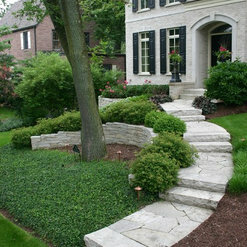 Highly recommend Western DuPage Landscaping and very satisfied with the work I have had done to date! I hired WDL to design and install a 500+ sq ft bluestone patio with fire pit and turn an awkward swail on the side of the house into a dry stream bed with stepping stone path. Matt and Nicole have creative design ideas and prepared extremely professional plan layouts that were customized to meet exactly what I was looking for both in the short term and what my ultimate vision was going to be for the backyard in the future. I plan on engaging them again this spring to expand the bluestone patio and add on a built-in kitchen and bar area as well as additional softscaping to complete the landscaping on our new construction home! This landscaping crew came right out with enthusiasm and professionalism. They asked questions of every sort to determine our specific needs. The transformed a bland landscape plan into something magnificent. From the hard scapes to the flower, bush and tree selections, the colors and textures were so well thought out and were visually stunning. One thing they got right, that I often don't see, is the proper scale of the plantings to the home. The vertical plane was thought out and varied. 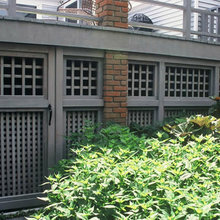 Sometimes plantings are too small and can be dwarfed by the structure. They got it right! Finally, the team was very professional from the design phase through installation phase. They all seemed to work respectfully with each other. I enjoyed working with them and have called them back for a second project. I would highly recommend this company to anyone. Turned my 80's oversized deck into an elegant brick and bluestone patio. Accommodated tweaks and adjustments with no problems and were outstanding to work with. Plan on having them back for other phases of the yard. My husband and i are so happy that we chose Western Dupage to do our extensive landscaping. Nicole Buch was our landscape architect. She listened to what we envisioned - and delivered - and them some. Making wonderful suggestions to make our yard an extension of our living space. Extremely professional - on time - and always in contact with us. 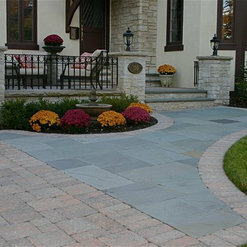 They are the perfect choice for any landscape needs. I highly recommend this company. Our yard is beautiful !!! Prior to selecting WPL, I received several plans and quotes over the course of 3 years. Most had nice plans for the patio but non-creative ideas for our landscape/privacy issues. 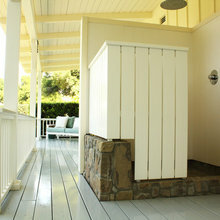 I found Nicole Buch to be a very good listener when it came to our needs to create privacy in our small corner lot. 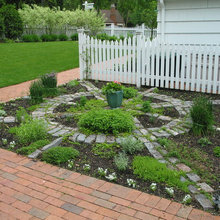 She was able to incorporate our favorite perennials and make recommendations for plants/trees. 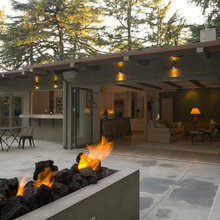 While the patio design was very simple, it was exactly what we wanted as clients. She did not try to up-sell me for things that I did not need. Next to a good design, I found the implementation of the project to be done very professionally. We had a few issues to work out but the Construction Manager and I worked through the unexpected problems. He made himself available and was very responsive. His crew worked diligently and cleaned up after they were done. We completed the backyard project over the course of two years. I hope to work with them again to complete the front and side yards. 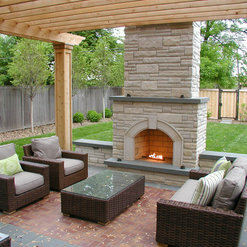 We had Western DuPage Landscaping put in a patio and landscaping to replace a 25-year-old deck. We worked with Nicole Buch and selected her design from among seven proposals. The key factors for us were the evident thought put into the design, the way she listened to us about what we wanted and then took those ideas and delivered something even better than what we'd devised, and helped us to rethink some of our ideas to make it more functional and (even better) easier to care for. We will continue to use WDL for our projects, and look forward the the future phases of Nicole's design. This landscaping co. did three jobs for me --replaced my backyard patio with a new unilock design plus added some landscaping; replaced my back entry walkway with another unilock design , and then later improved some of my yard's landscaping issues. 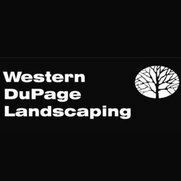 They did a wonderful job, the design landscaper, Nicole Buch, was great to work with and really listened to my needs and interests, and all this resulted in 3 great jobs done for me by Western DuPage Landscaping. 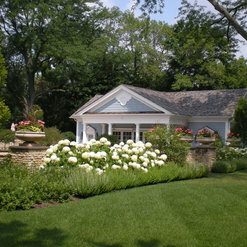 5 Ideabooks for Western DuPage Landscaping, Inc. Commented: What kind of plants did you use outside the boxwood shrubs?The plantings in the foreground are Palace Purple Coralbells. This is a pretty shady area. The groundcover against the house is Lilyturf. Commented: Flower bushesThe pink flowering shrubs in this photo are Pink Carpet Rose. Thanks! Commented: Are these Unilock Brussels Block pavers? If so, what color?Sorry for the late response to your questions. These are Unilock Stonehenge in the Sierra color.